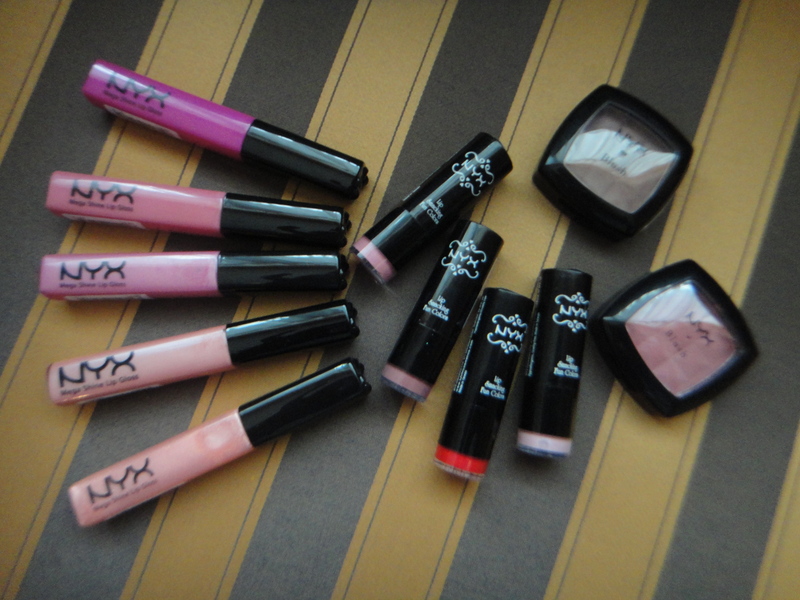 Today i’ll be reviewing some of the NYX products that i own. They are not many. 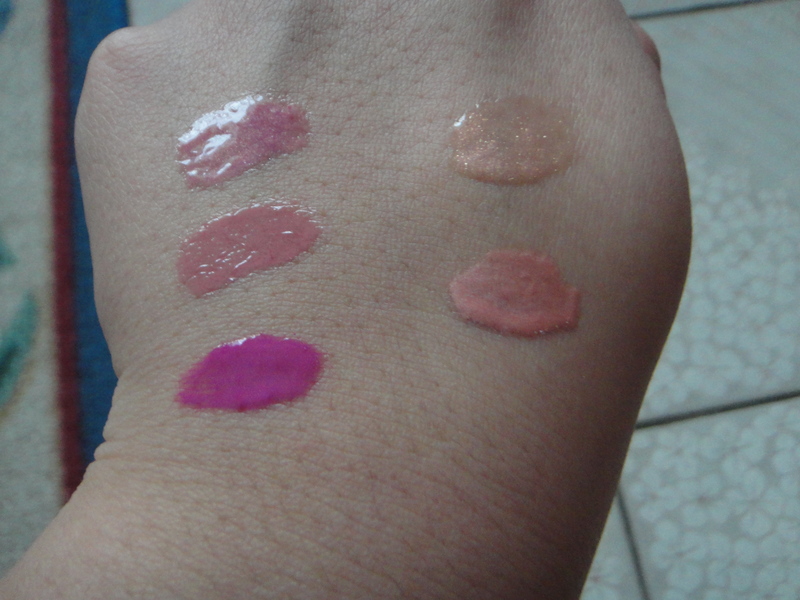 Just a few of their Mega Shine Lip Gloss, Blushes and Round Lipsticks. This is how the packaging looks like. Pretty! I love how we can see through the colors! PACKAGING: I’ll give this a 5/5 . I love that the casing’s black! They look pretty sleek and sophisticated. Though they’re made from plastic, its sturdy enough and they don’t break easily. They don’t look cheap at all too! DOLLY PINK: This is a bright barbie doll pink with no shimmers and i love this color! This would suit medium to dark skin tones. CRYSTAL SODA: This is a corally peachy color that has shimmers in it and its quiet sheer when you use it by itself. Wear any coral lipstick and layer it with this. This suits fair to medium skin tones as it’ll look too pale on a darker skin tone. BEIGE: This is a sweet rosy creamy color that would look good on any skin tone! Im serious. It gives you a natural look when worn by itself. LOVE THIS COLOR! I usually pair this with Revlon’s Matte Lipstick in Pink Pout. GOLD PINK: This is quite similar to BEIGE but this one has shimmers in it. Looks good on all skin tones too! 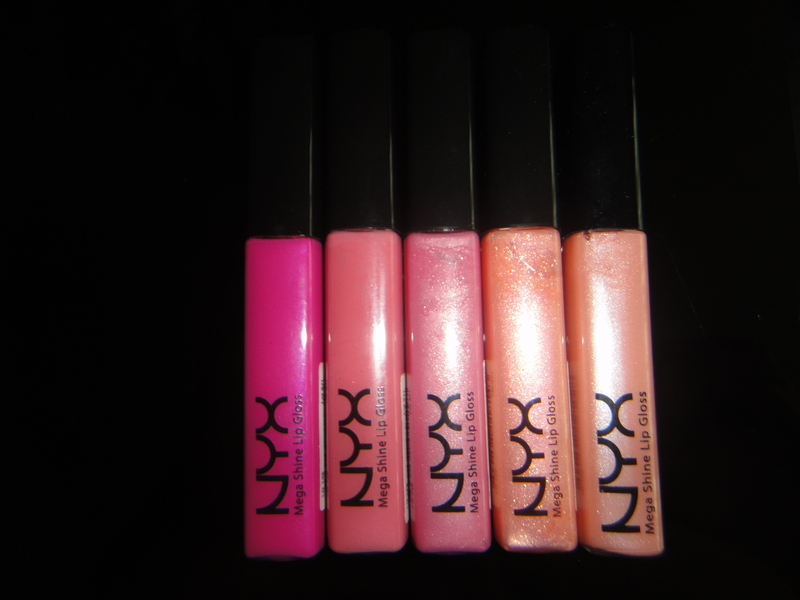 SWEETHEART: This is a less shimmer version of CRYSTAL SODA and this is more pigmented than CRYSTAL SODA as well. Again, this would only suit fair to medium skin tone as the color may look pale on darker skin tones. THALIA: This is a cremesheen finish. 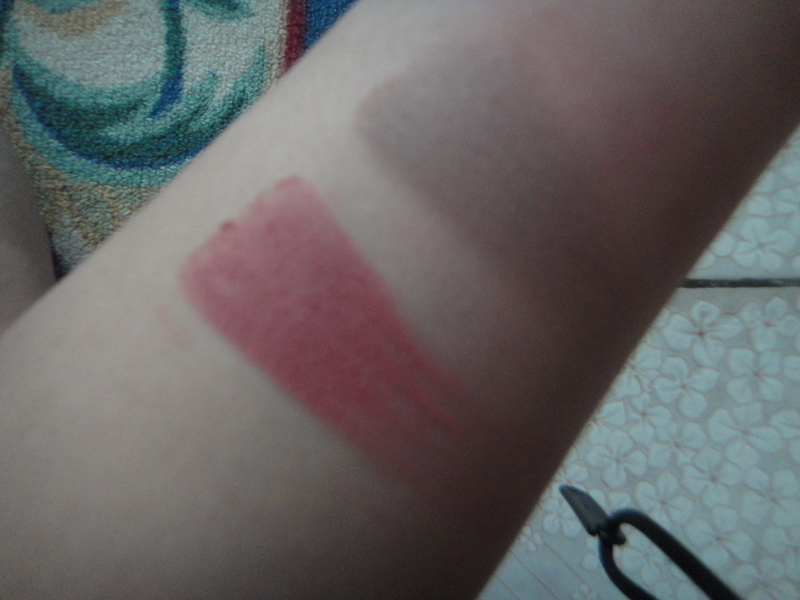 I would describe it as a dark pink rosy brownish color. This goes on smoothly on the lips. 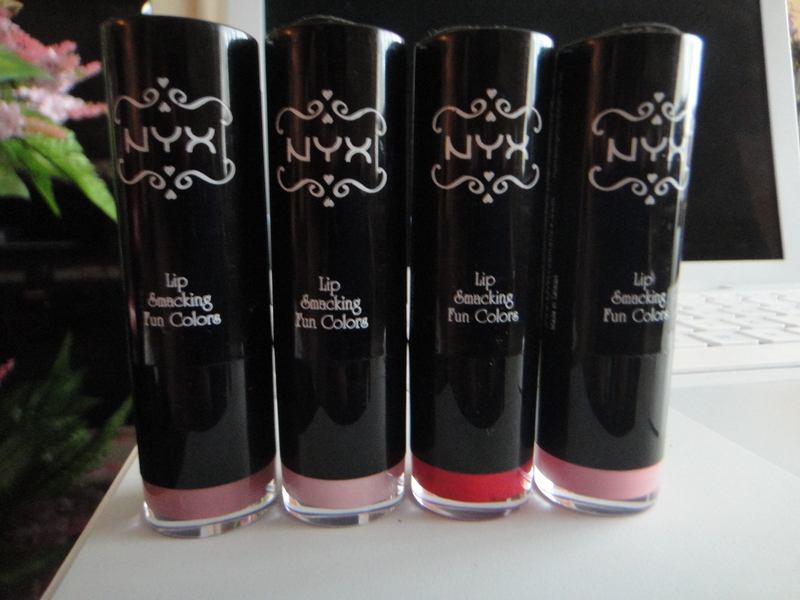 And the color’s buildable if you want a dark lip look. Suitable for all skin tones! HARMONICA: This is my least favorite. Looks like a metallicy light pink that makes me look like a corpse! It looks better with any pink lipgloss on top though. Its just that the color’s a bit pale for me. This is only suitable for fair to light medium skin tones. STRAWBERRY MILK: You wanna do a light barbie doll lip? Then this is for you! This has slight shimmers in it, not that obvious unless you look at it closely and the color’s buildable too making it and opaque pretty barbie pink color! Suitable for fair to medium skin tones. EROS: Wanna try a bold red lip? This is a good color for that. 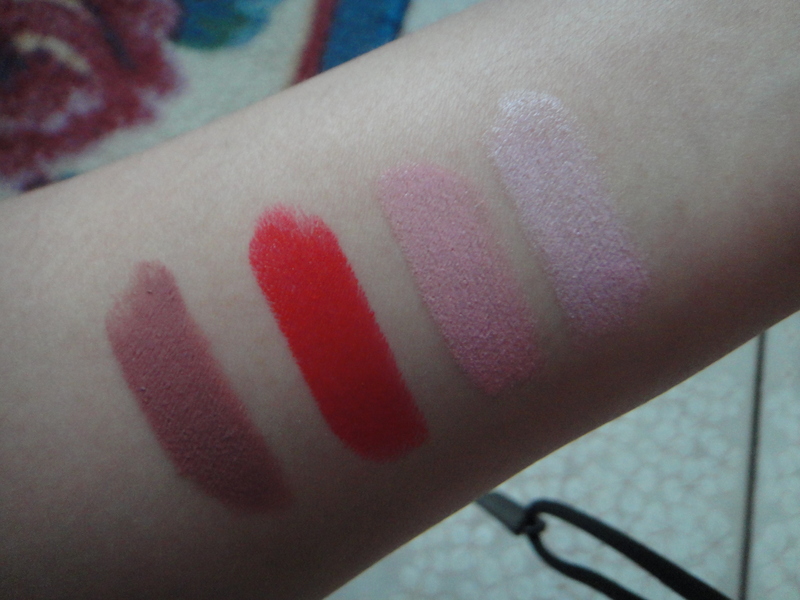 Its just a bright red lippy, no shimmers and all that shiz and its very very creamy. Goes on smoothly too. Suitable for all skin tones. Oh you wanna use a nice lip liner so that the color wont bleed, okay? Taupe is an ashy brown color and for me, its too brown to be worn for a blush. Id say this color would suit fair to light medium skin tones to wear as a contour color for the cheeks. Spice is a beautiful deep rosy pink. 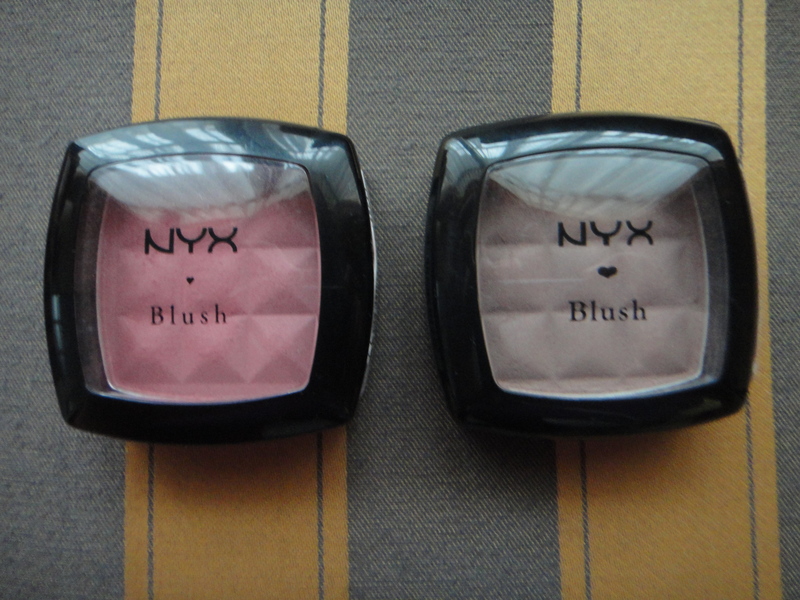 I apply this blush with a duo fibre brush (eg. MAC’s 187) and apply it lightly on the cheeks. This color is sooooo pigmented so you dont wanna put tons of it. 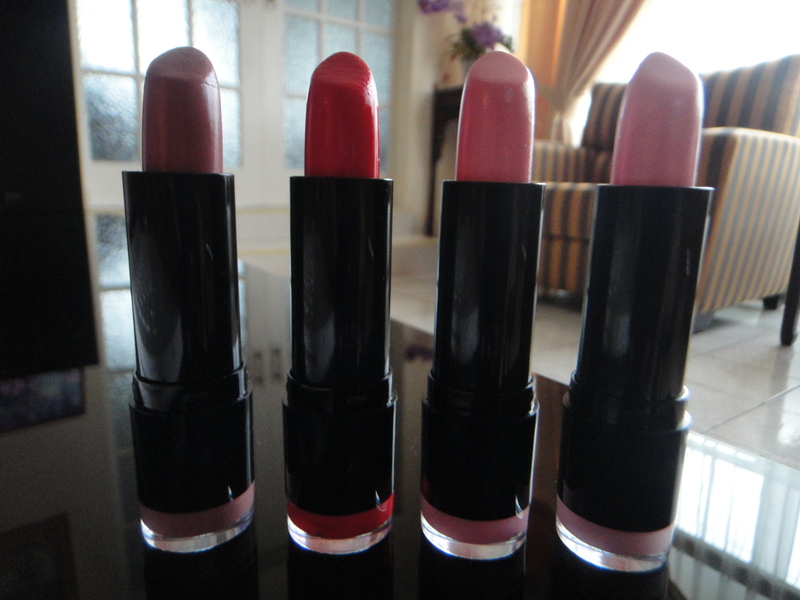 Suitable for all skin tones, preferably medium to dark skin tones. That is all for now. Talk to you soon!